June 23, 2018 Disneyland Resort opened the newly re-imagined Pixar Pier. While this land has some old favorites, there are also some new touches for guests to check out. What should a family know before checking out Pixar Pier at Disneyland Resort’s California Adventure? 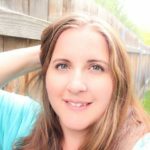 TravelingMom has everything you need to know with this family focused guide. I love Disneyland Resort. It feels like my second home, so every time they announce a re-imagineering (like the Tower of Terror to Guardians of the Galaxy: Mission Breakout!) I get a bit nervous. Will I love the changes, or will I long for the way things used to be? When Pixar Pier was set to open at the end of June, I decided I needed to pack my bags and visit the park to check it out for myself. 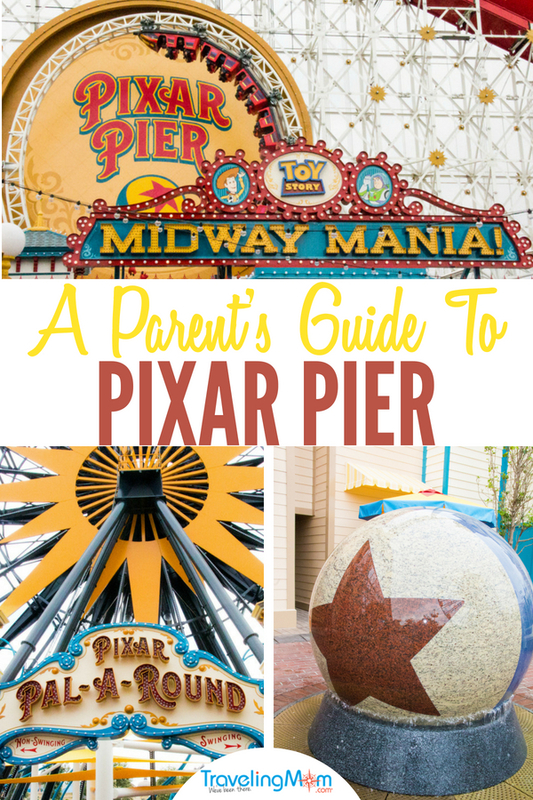 I will give you my verdict of Pixar Pier towards the end, but today I want to give you the complete family friendly guide to Pixar Pier. I will cover everything from rides, to dining, and give all the info parent’s need before heading to this area of Disney California Adventure. Disneyland knows how to make a big celebration over the retheming of an entire land. They kicked off the celebration early with Pixar Fest. If you have the chance to get to Pixar Fest, I highly suggest going. The parades, fireworks, and even the merchandise are amazing! I really hope Pixar Fest becomes an annual event because I love it so much. 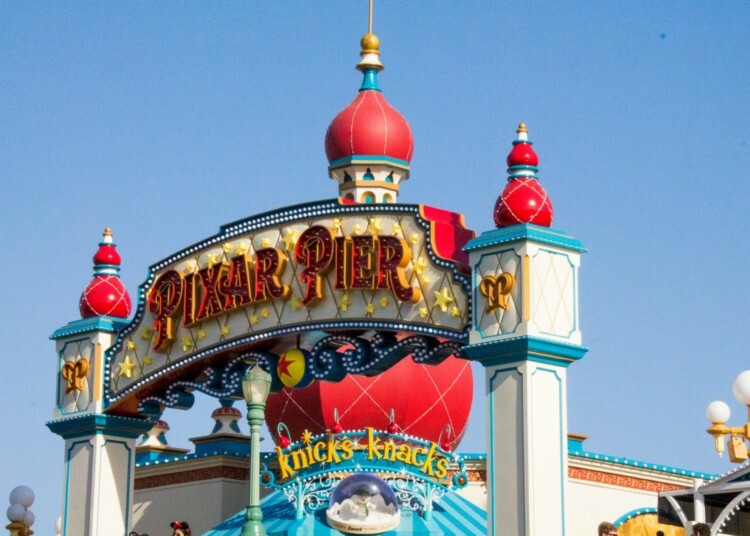 Most of the Pixar Fest celebrations take place away from Pixar Pier, but the Pixar touches make it feel like the Pixar Pier opening is a huge party happening all summer. Pixar Pier opened with some new dining options. Parents have a lot to deal with, so knowing if the food at Pixar Pier is worth the price is important. Here is a family friendly guide to dining on Pixar Pier. Lamplight Lounge – This is the only sit down dining option in Pixar Pier. Lamplight Lounge replaces the old Ariel’s Grotto and Cove Bar. While the lounge has many new food options, there are also old favorites like the Lobster Nachos. 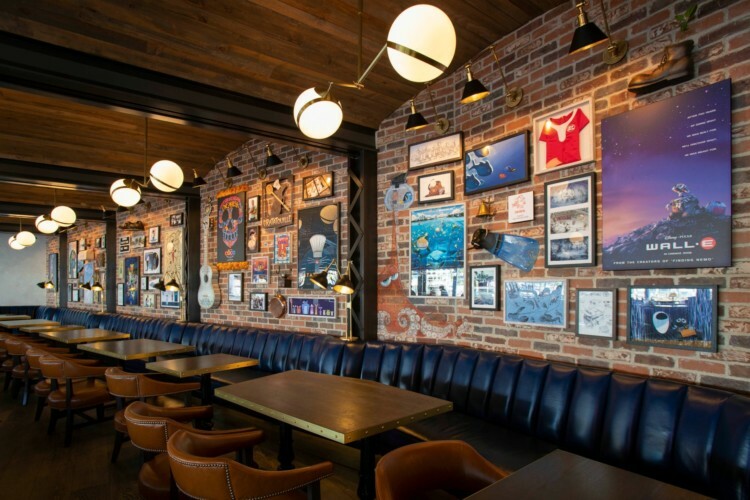 The Lamplight Lounge pays homage to Pixar with sketches, and more. Reservations or Standby: Both! We suggest making reservations. You can make them starting 60 days before the date you wish to dine via the Disneyland app, website or by calling Disney dining. When we visited, standby lines could easily be an hour or more. This may change depending on season and as the novelty of the Lamplight Lounge wears off. Kid friendly: Depends. I probably would not take my three-year-old twins here, but my eight year old? Sure. There is alcohol served here, and reports from others who have taken kids is that parties with kids under 21 have been seated outside, where it is more a lounge area. I will update this post if I learn that there is actual table seating for those with children. Adorable Snowman Frosted Treats – Just past Knick’s Knacks and Lamplight Lounge is Adorable Snowman Frosted Treats. Here you can purchase ice cream treats and fountain drinks on a hot day. The only issue with this location (as well as many of the Pixar Pier food options) is we often found the lines to be very long. Many times over 20 minutes long. There is no shade for the food lines in Pixar Pier, so you will definitely enjoy your cold treat after the wait. Kid friendly: This location is definitely kid friendly. Watch out though. The lemon and blue raspberry options are very pretty, so many kids want them. We saw a number of kids begging for them, and then taking a bite and not liking the treat. Parents were dumping them or eating two treats themselves. Jack-Jack Cookie Num Nums – This cookie stand is located at the exit area of the Incredicoaster. Here you will find delicious, restaurant style cookies and assorted milks to purchase. TravelingMom Tip: They have gluten-friendly cookies here. 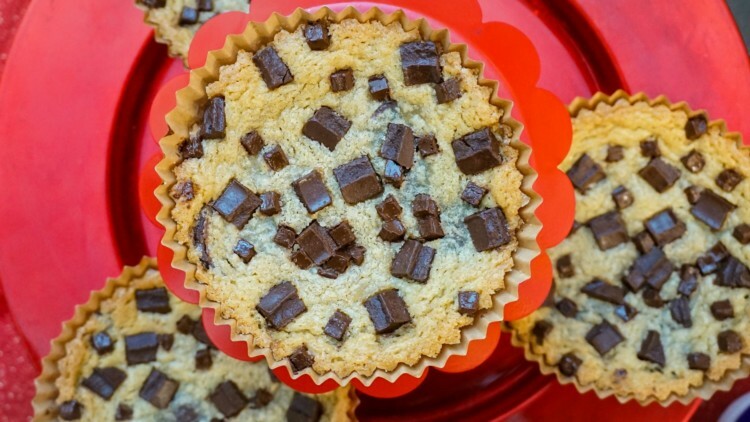 Perfect for those kids who want a cookie but can not have gluten. Kid friendly: Definitely! Kids love a good cookie. The fact that they have gluten-friendly options, and the size of these cookies make it great for families. Multiple kids could share one cookie. Poultry Palace – Across from Toy Story Midway Mania is Poultry Palace. Did you ever see those Toy Story Shorts on the Disney channel where they have the kids meal prize mini-Buzz? This is the location they went to. Here you can find all things poultry, from Turkey Legs to a Chicken Drumstick Box, and a couple corn on the cob options, this is a great place to grab some protein and a decent side. Reservations or Standby: This location is standby only. Kid friendly: Yes. The Chicken Drumstick Box is perfect for a kid’s meal. Memory Making Tip: Poultry Palace has a Disney Instagram Wall on one side, and a giant Zurg kid’s meal prize on the other. Senor Buzz Churros – Everyone knows that Disney churros are the best. The Senor Buzz Churros stand features Buzz (in Spanish mode) promoting the Caliente Churro and the Cinnamon Super Galaxy Churro. Kid friendly: Yes. If your kids like churros, they will most likely enjoy the Cinnamon Super Galaxy Churro. Use your best judgement for ordering the Caliente Churro for children. Angry Dogs – Anger from Inside Out is all fired up and selling some hot dogs with chips. You can get an Angry Dog (spicy) or a Slightly Annoyed Dog (non-spicy) hot dog. The Angry Dog comes with a bag of “hot fries” while the Slightly Annoyed Dog comes with a bag of Lays Potato Chips. They do not allow you to mix and match the chips/hot dogs (at least they didn’t let the people in front of us). Kid friendly: Yes. Most kids like hot dogs so this is a great choice. Just a note, there are no kids hot dogs for sale here, so they hot dog may be too large for some children. There is also a popcorn stand in Pixar Pier, and they will be opening Bing Bong’s Sweet Shop (he cries candy, remember) later this summer. Of course, Pixar Pier is not just about the food options. The rides are probably what most kids are looking forward to when heading to Pixar Pier. 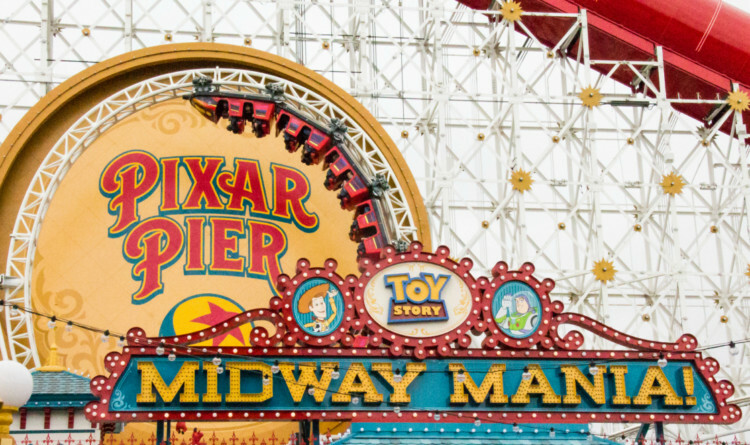 Thankfully, I have all the info on Pixar Pier rides and tips for parents to make the most of these rides. Three of the soon to be five Pixar Pier rides are open, but I will give an overview of all the rides and will be sure to update this post when the other rides open. Jessie’s Critter Carousel – This carousel is replacing the old King Tritan’s Carousel. It is nestled between Toy Story Midway Mania and the Incredicoaster and is set to open in 2019. Good for: Kids of all ages, but especially good for infants, toddlers, and preschoolers. This ride has no height requirement. Average wait time: TBD – If it is similar to the previous carousel, and the one in Disneyland, the wait should be minimal. Inside Out Emotional Whirlwind – This ride is another retheming. Retheming is the name of the game when it comes to Pixar Pier rides. However, this retheming is of Flik’s Flyers in “a bug’s land” which is set to close late summer 2018. The opening date of this ride has not been announced, but we are probably looking at 2019 or 2020. This ride will load guests into a basket and the fly around and around… similar to Dumbo the Flying Elephant or Astro Blasters. Good to know: Being a circular ride, this ride may not be good for those prone to motion sickness. 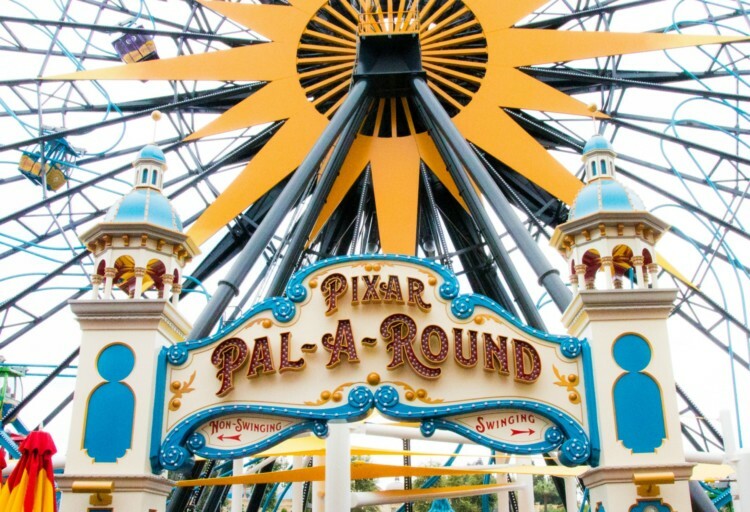 Pixar Pal-A-Round – This is a retheming of Mickey’s Fun Wheel. This giant ferris wheel has gondolas featuring Pixar characters. The ferris wheel features both stationary gondolas and swinging gondolas. Be sure you choose the correct line for swinging or non-swinging. Toy Story Midway Mania – This is the only ride that did not undergo a retheming during the change from Paradise Pier to Pixar Pier. Toy Story Midway Mania is a 4D interactive game. You ride in cars, and use a “ball gun” to shoot targets in a series of virtual boardwalk style games. Your balls of course are virtual as well. While this ride did not undergo a retheming, the entrance for this ride was moved a little to the left. Good for: Kids and adults of all ages, though infants won’t be able to play. There is no height requirement for this ride. Good to know: This ride is 4D. It requires you to wear 3D glasses. In addition, you may experience puffs of air being blown on you. This ride can be jerky as it moves from ride to ride and goes around the track. Incredicoaster – The giant roller coaster formerly known as California Screamin’ has been rethemed into a super hero worthy ride featuring the Incredibles. You will being helping the Incredibles track down Jack-Jack as he uses his many powers through out the ride. While the track is the same, I swear it felt smoother. I didn’t have my head banged around as much. If you don’t mind a spoiler alert, you can check out my ride through video on IGTV. Average wait time: 60 minutes. The wait time for this ride has honestly been all over the place since opening. We are starting to see an average of an hour via the Disneyland App though. Fastpass boarding has been 15 minutes or under. MaxPass/FastPass: This ride offers Disney MaxPass and Fastpass services. The Fastpass machines are located near the ride entrance/exit. Good to know: This ride has a loop and uses over the shoulder harnesses, so while children may meet the height requirement, it is important to make sure their harness is tight so they do not come too far off their seat during the loop. This ride also has a stop, and then blasts off to 60 miles per hour. It also comes to a sudden stop towards the end. I suggest riding this ride twice, once during the day and once at night, as it is a totally different experience in the dark. TravelingMom Tip: Put your head back back at the beginning and end to help avoid your head banging around. I loved Pixar Pier. The Pixar Pier retheming was important for Disney and I definitely think it was a success. 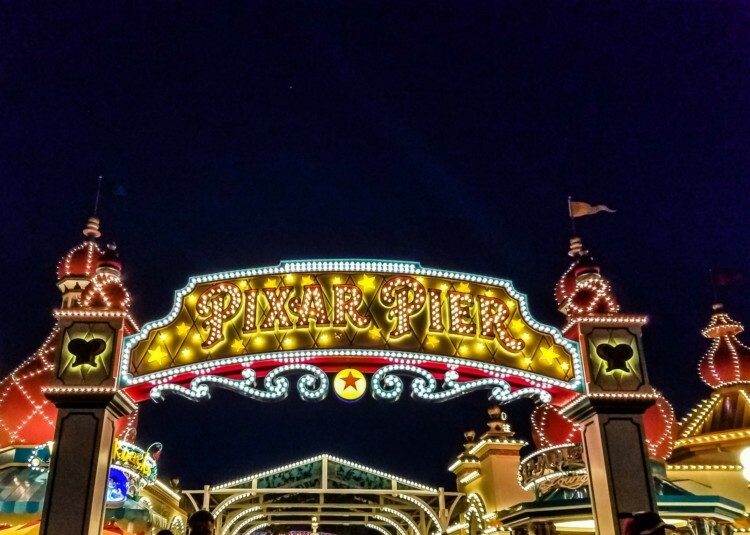 I spent several hours each day on Pixar Pier, because of it, I was able to learn a lot of tips that might be good for your trip. Head to Pixar Pier at rope drop and ride the Incredicoaster. The line was only 20 minutes long when we did this, though it quickly reached a 45 minute wait time. While in line for Incredicoaster, use the MaxPass service to reserve a fastpass for either Radiator Springs Racers or Guardians of the Galaxy: Mission Breakout! Those rides are still more popular as far as Fastpasses, and will run out quickly. We found Incredicoaster still had fastpass return times available until the early evening. There are no tables to sit at for the quick service dining options (everything except Lamplight Lounge). I suggest grabing your food from Poultry Palace or Angry Dogs and walking past Pixar Pal-A-Round to Paradise Gardens Park where you can find plenty of seating, including covered seating. Pixar Pier does not have much shade, so visiting early morning, or later in the evening is a good idea. 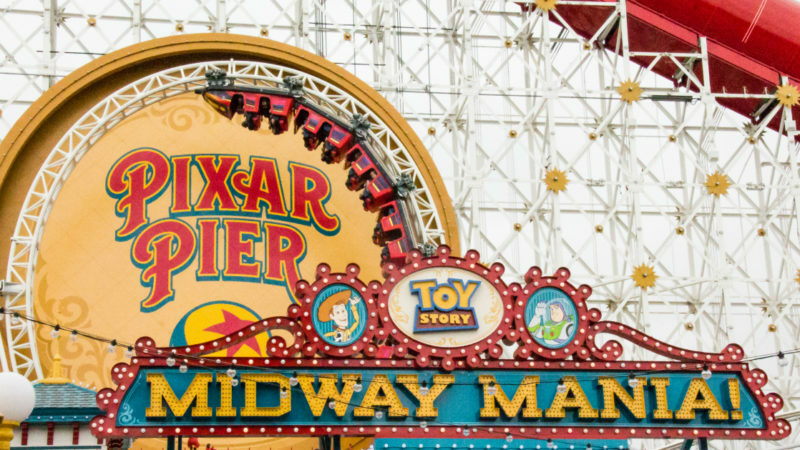 If you are looking to book a Disneyland vacation to check out Pixar Pier, be sure to check out the offers from our friends at Get Away Today. They have several great deals going on, and can offer 3rd, 4th or 5th night free at many local hotels. Precise reporting! I’m impressed (and will benefit from) your reporting.